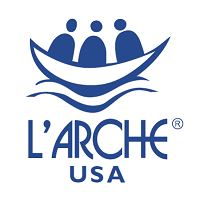 What else should I know before considering L’Arche Wavecrest as a home and community for my loved one? You don’t have to live in the home to be part of our community! Those with and without disabilities are invited to join us for events an evening activities at our home. We invite you to share life and be a part of our community now. •	We are a faith-based home. Our roots are in the Catholic faith, but we honor and respect all faiths. •	We are currently licensed to serve people of Level 2 as designated by Licensing and Regional Center. We seek to expand this in future homes. •	We are currently an “adult residential care facility (ARF),” and our Core Members have a relationship with Regional Center.